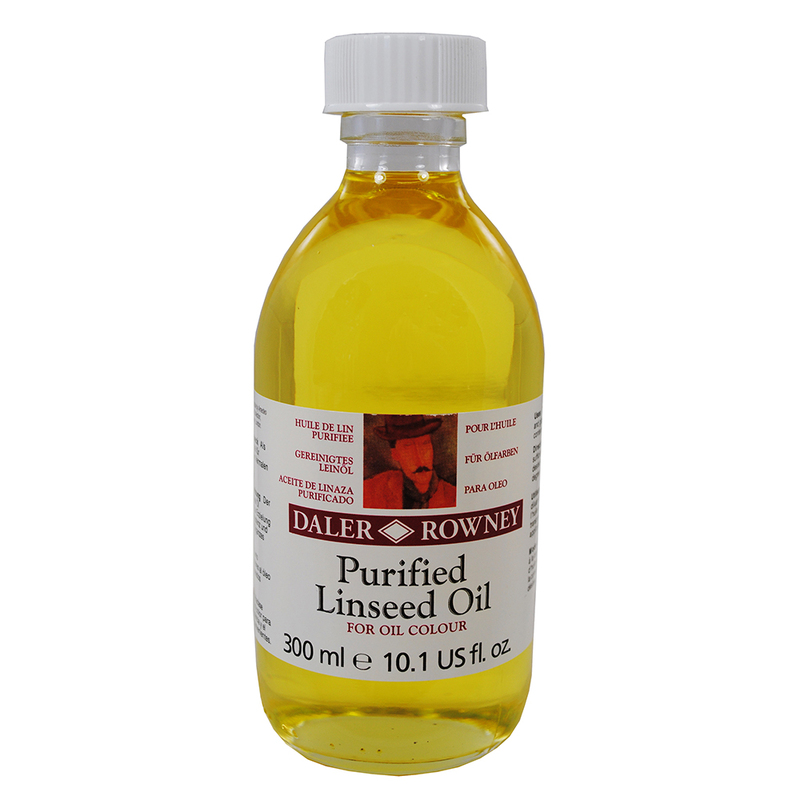 Daler Rowney Purified Linseed Oil reduces the consistency of your oil colours and slows down their drying time. 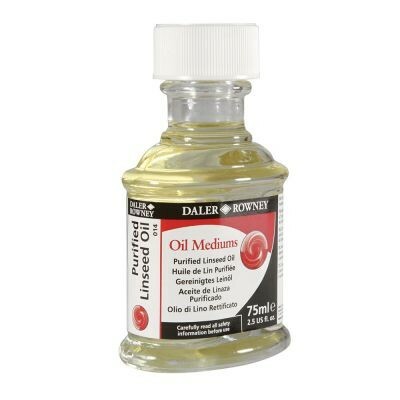 Used straight from the bottle, this oil will give your paint a high gloss finish. It can be diluted with Turpentine or Spirits to thin, and makes an excellent medium for most types of oil painting. 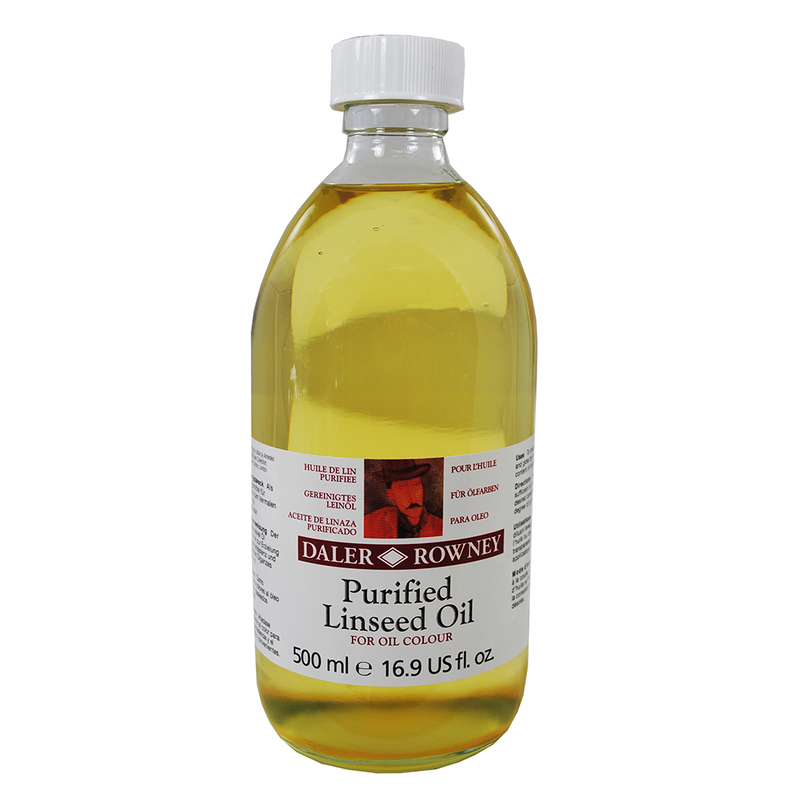 Now available in 75ml, 300ml and 500ml bottles.